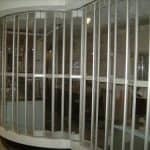 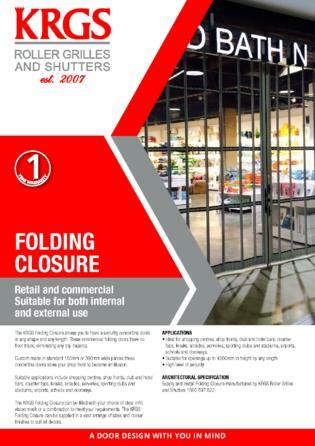 Folding Closures allow you to have security concertina doors in any shape and any length. 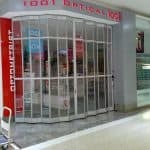 These commercial storefront doors have no floor track, eliminating any trip hazards. 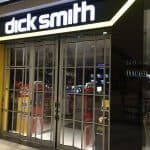 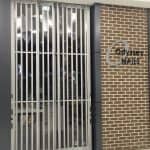 Manual operation is simple with our commercial storefront doors. 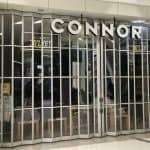 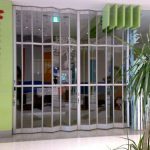 Sydney, Melbourne, Brisbane, Perth and major cities across Australia can rely on the durability of our folding closures, available with clear anodized or Dulux powder coat finish at your specification. 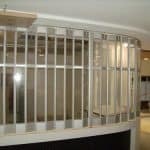 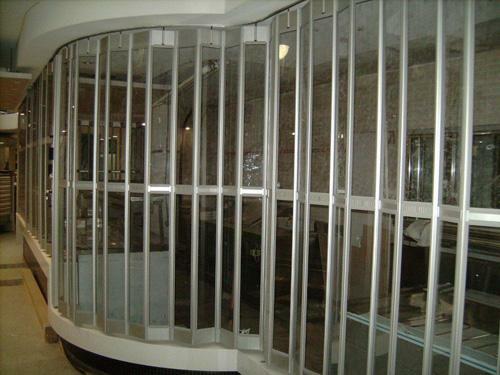 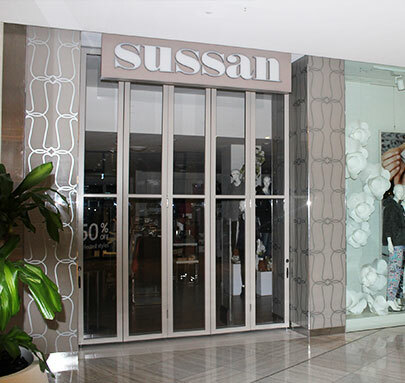 Custom made in standard 150mm or 300mm wide panels these concertina doors allow your shop front to become an illusion. 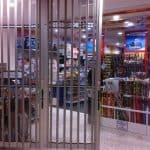 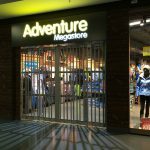 These doors can be seen in all major shopping centres and duty free airport doors. 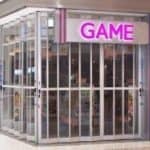 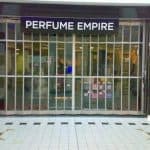 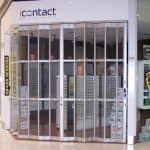 Ideal for shopping centres, shop fronts, club and hotel bars, counter tops, kiosks, arcades, serveries, sporting clubs and stadiums, airports, schools and doorways. 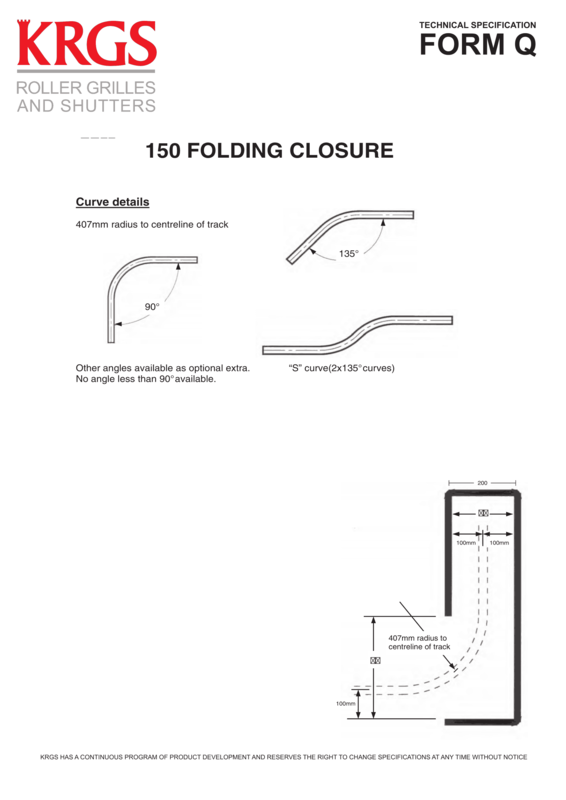 All folding closures are manual operation. 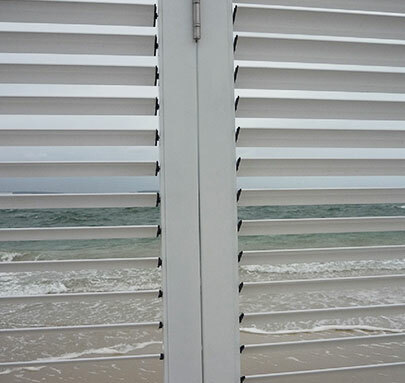 The closure is designed so that all modes of operation and locking is at the user standing level. 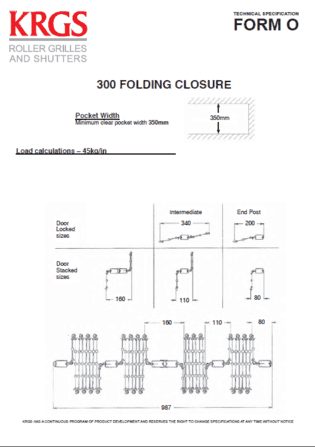 Supply and install Folding Closure manufactured by KRGS 02 9608 9888. 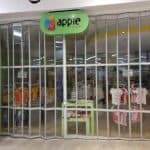 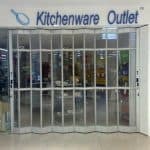 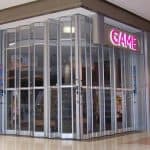 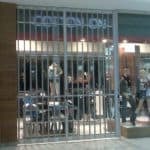 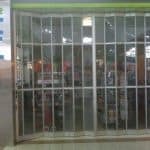 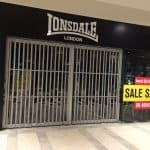 KRGS Folding Closures Concertina doors are available in the standard 300mm width panel and also in a 150mm panel, to provide versatility in shopfront design. 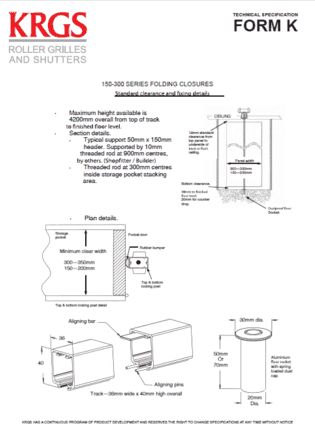 Note: KRGS has a continuous program of development sizes or configuration of product may change at any time. 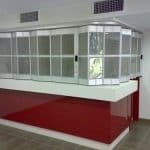 For the latest in design and specification please consult with KRGS by calling us. 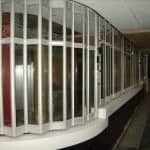 Track is to be constructed from sturdy aluminium 36mm wide by 40mm high, curved track can be supplied with a 600mm (to the centre of the track) standard radius. 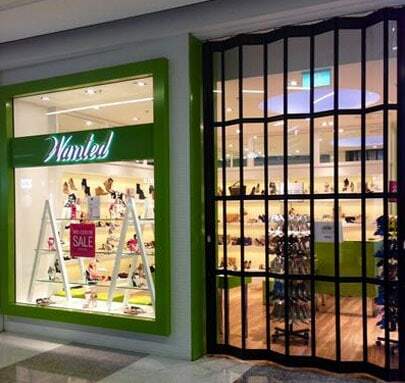 Special radiuses are vailable on request. 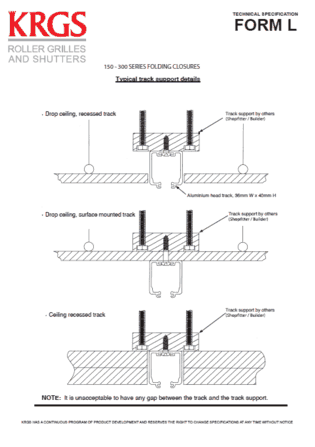 The track has a unique aligning pin and bar system to ensure smooth operation of the closure. 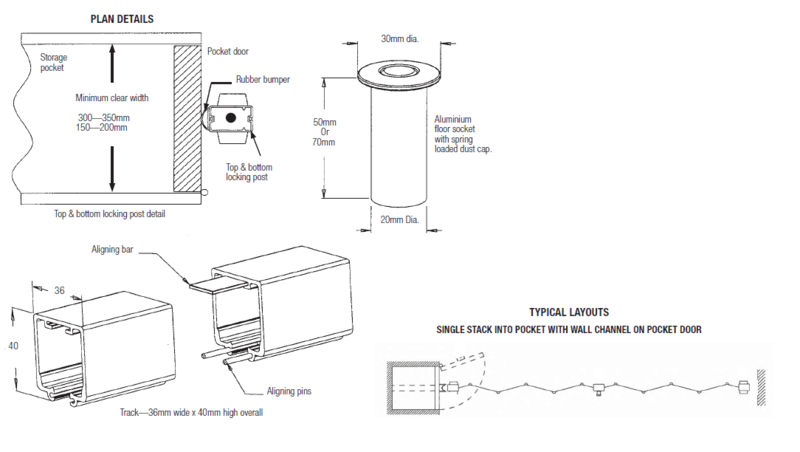 The curtain is constructed of low friction continuous hinges panel in sections up to 3000m each, these are interlocked and secured on to the locking posts at each end, and sections are then joined via a unique intermediate post system which has bottom only locking to secure it. 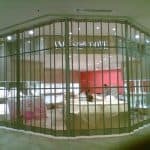 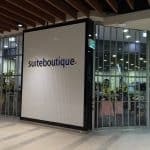 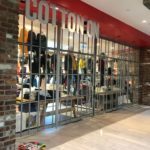 The panels are in filled with a choice of clear infill panel, opaque infill panel, perforated mesh, open bar grille, solid aluminium or a combination if required. 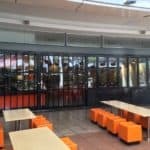 Locking is via a key system which throws a steel rod up through the top track and also one down into a dust proof floor socket that is drilled into the floor. 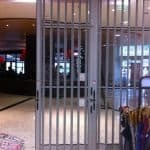 Key Operation is form both inside and out. 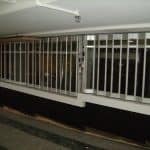 Multiple doors can also be keyed alike. 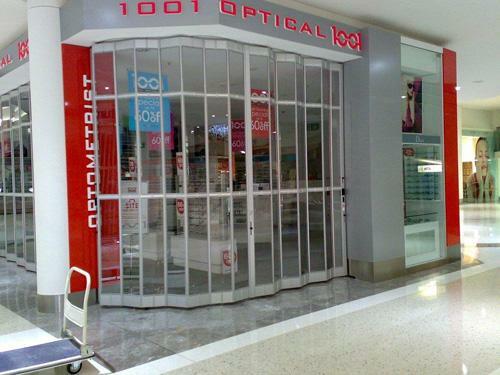 A simple emergency egress door can be incorporated into any closed folding closure that has a minimum height of 2250mm, operatable with interior single down action handle, panels to swing outwards to create a clear opening of 915mm by 2140mm please consult a KRGS Technician for more information or optional pricing. 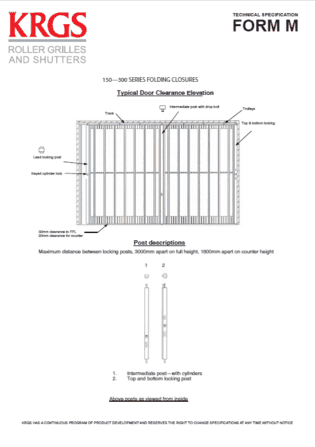 Door weight is 45kg/ lineal metre. 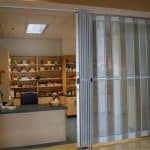 Are you not sure which door is the best application for your project? 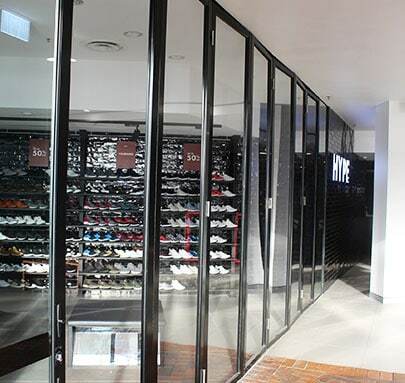 KRGS’ White Paper will be able to assist in guiding you as to what door is best to meet your needs. 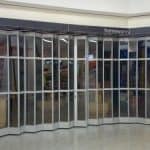 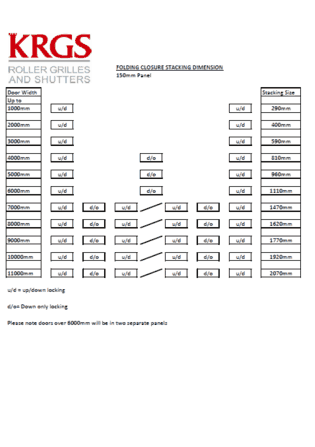 A door design with you in mind, there is a KRGS product option to suit most of your requirements. 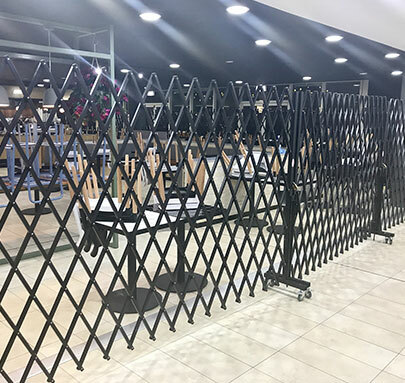 The KRGS Clearstack delivers a wall of security whilst still showcasing your product. 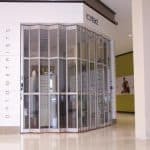 Unlike tradition folding stack-able doors, the Clearstack sits completely inside the lease line to allow maximum shopfront space and glides smoothly along the overhead track. 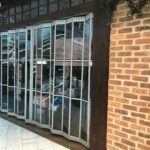 The KRGS Clearglide is a most versatile innovative door and wall system free from mullions and restrictive pillars, providing the ultimate in practical side folding doors. 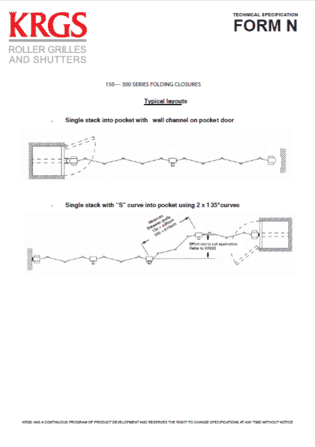 No Floor track required = no trip hazard. 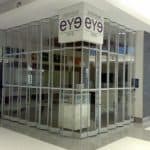 The KRGS Mobile Trellis Barrier allows you to have a versatile trackless barrier at any length. 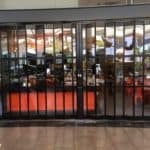 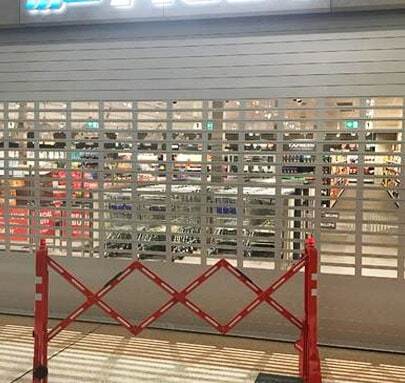 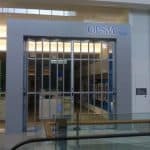 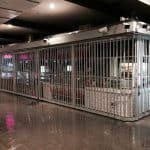 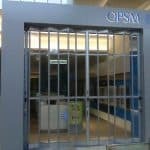 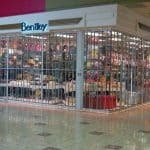 These commercial Mobile Trellis Barriers doors have no floor track or head track, eliminating any trip hazards or the need for bulkheads. 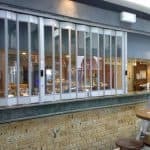 The KRGS Clearbreeze delivers a wall of privacy whilst still allowing desired airflow, light and glides smoothly along the overhead track. 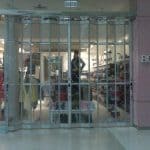 The KRGS Expandable Plastic Traffic Safety Gate Barrier is a portable high impact and temperature resistant plastic expandable barricade designed to quickly render areas safe from both crowd control and vehicles.